L to R: Bernard Shields, Séamus O'Brien, Austin Flynn, Tony Mansfield. This week's photo shows the raising of a commemorative flag at the club grounds on May 10th 2009 to mark the 125th anniversary of the founding of Cumann Lúthcleas Gael. 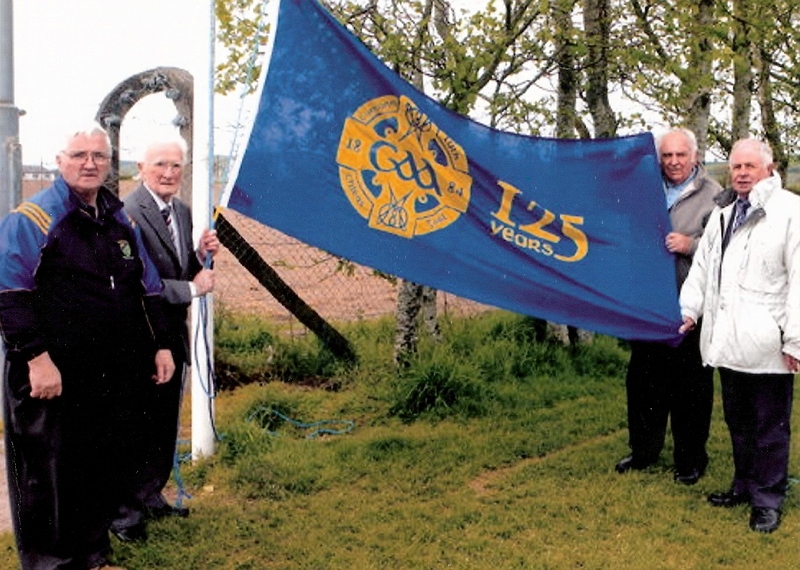 The GAA asked that club's throughout the country would acknowledge this milestone in the Association's history by hosting events on a day known as 'Lá na gClub'. Abbeyside / Ballinacourty held a family fun afternoon which drew large crowds to St. Augustine's Park on the day.